Bloodroot (Sanguinaria canadensis) blooms during the early spring in deciduous woods with 3 to 4 inch white flower petals and bright yellow stamens. Bloodroot (Sanguinaria canadensis) is a spring blooming wildflower that is native to the Eastern United States. Typically, this perennial grows in partly sunny sites and in moist to dry, acidic soils of nutrient-rich, deciduous hardwood forests. In South Carolina, it is one of the spring ephemerals (i.e., it has a short life cycle and quickly fades), often appearing in large masses with pure white flowers held inches above the forest floor. Bloodroot is considered common in woodland sites in the Upstate, but uncommon in the sandier soils of the lower half of South Carolina. Bloodroot is one of the earliest of the native wildflowers to bloom, but unfortunately, the flowers are very short-lived and each may only last for a couple of days. Various small bees and flies collect and spread the pollen from numerous yellow stamens. The flowers produce pollen, but no nectar. Bloodroot flowers typically have 8 to 16 petals, but there are doubles with many more petals, such as the variety S. canadensis f. multiplex ‘Plena’. Colonies of bloodroot (Sanguinaria canadensis) form as their shallow, reddish rhizomes slowly spread. Some of the flowers of these bloodroot plants (Sanguinaria canadensis) were pollinated; the petals have dropped, and seed capsules have formed at the tops of the flower stalks. Bloodroot is a stemless, slowly spreading, rhizomatous plant. When cut, its rhizome (an underground stem) produces a bright red to reddish-orange sap, which has been used both medicinally and for dyes by American Indians. However, caution is advised, as this sap is caustic to the skin and poisonous if ingested. The gray-green foliage of bloodroot varies somewhat in shape, but they have 5 to 9 lobes on the leaf margins. Because of the variations in leaf shape, one taxonomist proposed there are two naturally occurring varieties. Sanguinaria canadensis var. rotundifolia is the primary form in South Carolina, which has leaves that are less lobed than the more northern variety, S. canadensis var. canadensis. After flowering, the leaves of bloodroot continue to grow to reach five or more inches in diameter. Once the drier and warmer summer conditions arrive, the leaves will senesce (i.e., they will turn yellow and deteriorate). After the short-lived flowers have fallen, the leaves of bloodroot (Sanguinaria canadensis) fully expand. As an early spring bloomer, bloodroot combines well in the shady woodland garden with other spring flowering, native perennials, such as trilliums (Trillium spp. ), lungworts (Pulmonaria spp. ), common hepatica (Hepatica nobilis), yellow trout lily (Erythronium americanum), and sessile bellwort (Uvularia sessilifolia). The bold texture of the bloodroot leaves combine well with the more finely cut foliage of many ferns, fringed bleeding heart (Dicentra exima), wild columbine (Aquilegia canadensis), and foamflowers (Tiarella cordifolia). Bloodroot grows well in USDA Cold Hardiness Zones 3 – 8, and prefers a shady to partly shaded site with well-drained soil. As with many woodland plants, morning sun is preferred, along with afternoon shade. Because of the heat and drought of recent summers, it may be more successful to plant these and most perennials in the fall. This will allow the maximum time for root growth before summer. Bloodroot (Sanguinaria canadensis) combines well with early flowering Sessile Bellwort (Uvularia sessilifolia). The best way to establish a large area of bloodroot plants is by adding organic matter, such as compost, to an entire bed and tilling it well. The addition of compost to mix with the existing soil will improve both aeration and drainage, and will improve the cation exchange capacity of the soil (i.e., the ability of soil to hold onto nutrients). 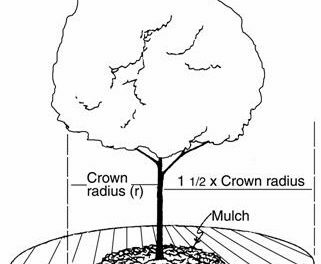 Generally, do not exceed 10 to 20% organic matter by volume mixed with the existing planting bed, or with the soil in the individual planting hole. For a planting bed, add 1 inch of compost onto the soil and till in about 6 inches deep. Although bloodroot may tolerate various soil types and grow over a relatively wide soil pH range, many woodland wildflowers may excel in growth if the soil pH is adjusted to approximately 6.0. Follow the recommendations of a soil test analysis, which may recommend the addition of limestone to the planting bed. 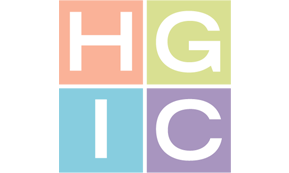 For information on how to sample the soil, please see HGIC 1652, Soil Testing. 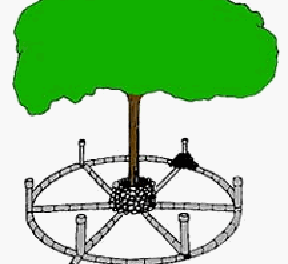 The soil test results will recommend the fertilizer analysis for best plant growth. However, many of South Carolina soils are naturally low in nutrients, so the addition of a small amount of a complete, organic fertilizer mixed with the soil prior to planting can enhance plant growth. Plants should be mulched and watered well to settle the soil. Pine straw and/or ground up hardwood leaves make an excellent and natural looking mulch for woodland plants. Water plants weekly during dry periods or as needed depending upon rainfall. In subsequent years after planting, an organic fertilizer and compost can be scattered around the plants in the early spring. Bloodroot plants rarely require dividing, and the plants self-sow readily. Seed: Bloodroot may be propagated by seeds, which should be collected and planted as soon as they are mature on the plant. After flowering, the stalk will produce a slender, green capsule in which the seeds will develop. These capsules will be mature approximately four weeks after flowering, which is about the time the leaves have emerged on the hardwood trees above. At that point, these capsules should be checked for maturity every couple of days by squeezing one and inspecting the seeds inside. If the seeds have turned brown, they are ready to harvest. If a regular inspection of the seedpods is impractical, each pod may be enclosed in a fine mesh bag of cheesecloth or fine nylon to catch the seeds as they are dispersed at maturity. Once collected, the seeds must be kept cool and moist until planting to prevent desiccation (drying out) of the seeds. Transfer the seeds into a plastic bag with moistened potting soil. The seed along with the potting soil should be planted as soon as possible. If allowed to dry, the seeds will require a cold stratification (i.e., a cold and moist treatment) for three months to break their dormancy and allow for germination. If the seeds are collected and to be immediately scattered, they should be placed about two inches apart and covered with soil to about ¼-inch deep. Lightly cover the area with a ground up leaf mulch and water the area to settle the soil. It should be noted that the double-flowered forms are sterile and produce no seed. Division: During the dormant season of bloodroot (fall through early winter), the rhizomes may be carefully dug, the soil removed, and then cut into several pieces. Each piece needs to have one or more buds, which are the points where new leaves and flowers emerge in the spring. Leave any fibrous roots on the rhizome pieces. To reduce the possibility of rhizome rot, the cut ends may be lightly dusted with sulfur before replanting. Plant each rhizome section with the buds pointed upward. Cover the pieces with one to two inches of soil and cover the area with several inches of a leaf mulch. Water to settle the soil at planting, and then water the plants weekly as need during periods of drought. Please keep in mind that one should never dig plants from public lands. Bloodroot rarely contracts fungal diseases, but if planted in a poorly drained site, the rhizomes may become infected with a Pythium root rot. To save infected plants, lift the rhizomes, trim off diseased areas, dust cuts with sulfur, and replant the healthy pieces of rhizomes into a well-drained site. If plants are in areas with poor air circulation and excessive shade where the foliage does not dry quickly after rainfall or irrigation, the foliage may become infected with Botrytis gray mold. If any foliage becomes diseased, use scissors to remove and dispose of diseased material. See HGIC 2100, Gray Mold (Botrytis Blight) for examples of fungicidal products to spray for control. During wet periods, slugs may become a problem on bloodroot, as well as on other woodland plants. Their feeding leaves holes in the foliage. Slug baits made with iron phosphate are the safest baits to use in the garden for control. See HGIC 2357, Snails & Slugs in the Home Garden for examples of these products.